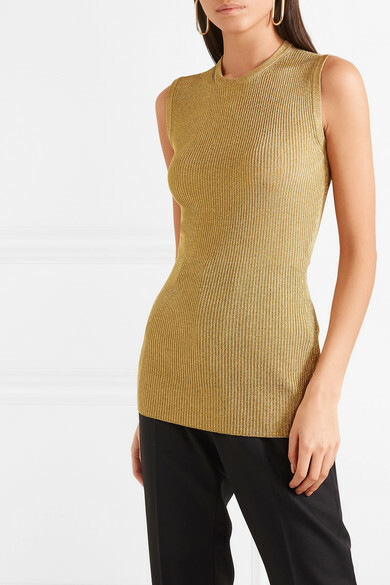 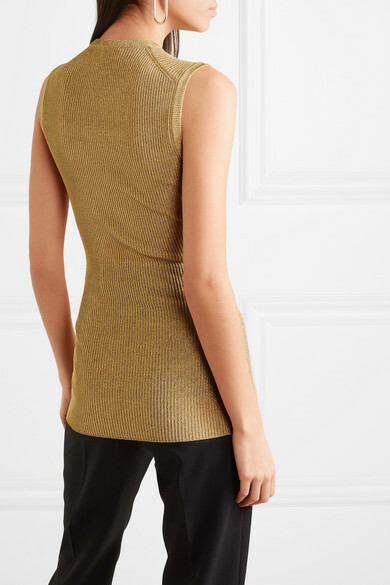 Dolce & Gabbana's tank is the perfect way to incorporate a little shimmer into your daytime outfits. 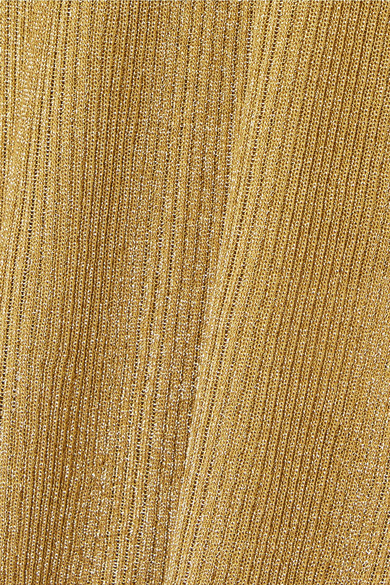 Rib-knitted and woven with shimmering metallic threads, it's cut for a slim fit so you can easily tuck it into jeans or pants. 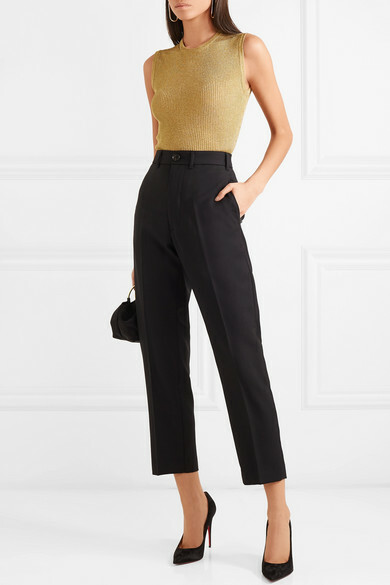 Shown here with: Vivienne Westwood Pants, The Row Tote, Christian Louboutin Pumps, Jennifer Fisher Earrings.